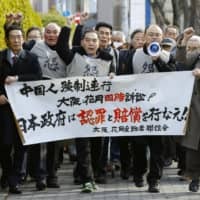 OSAKA - The Osaka District Court dismissed Tuesday a lawsuit filed by a group of Chinese citizens seeking compensation totaling ¥82.5 million from the Japanese central government over forced labor during World War II. The suit, brought by a group of 19 former forced laborers and their relatives to the court in 2015, also demanded an apology from the government. The plaintiffs include those taken from northern China and forced to work at a mining camp in Akita Prefecture and at a dockyard in the city of Osaka. They claimed the workers were treated as “captives” and that Japan’s national policy at the time violated an international treaty that stipulates the rights of prisoners. 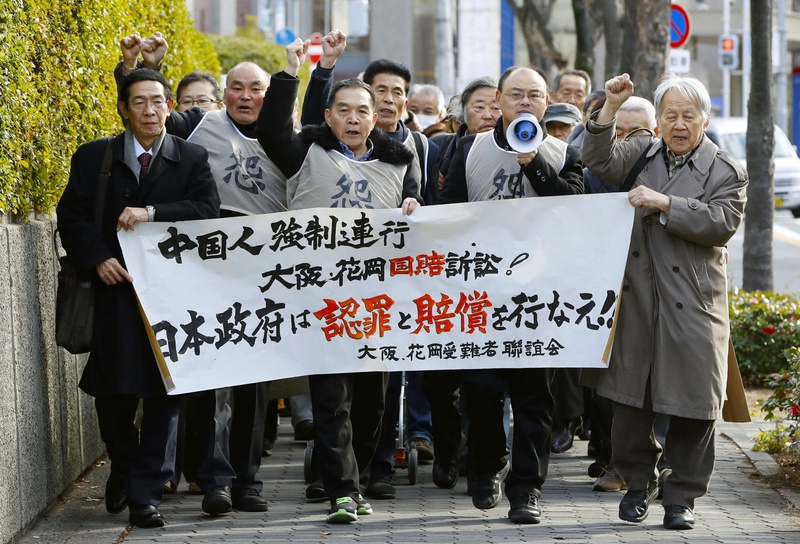 Japanese courts have repeatedly turned down similar claims from Chinese plaintiffs based on a top court decision. In 2007, the Supreme Court ruled that Chinese nationals have no right to compensation as it was renounced under a 1972 joint communique issued when diplomatic ties between the two countries were normalized. Presiding Judge Ryosuke Sakai relied on that legal precedent but acknowledged the suffering of Chinese people who were forcibly removed to Japan during the war amid a labor shortage. Li Tiechui, 95, now the sole living survivor among the former workers, played a major role in a large uprising that occurred at the Hanaoka mining camp in 1945. More than 400 workers were killed during the incident and from torture conducted in its aftermath. The Hanaoka camp was operated by contractor Kajima Gumi, the forerunner to present-day construction company Kajima Corp., which reached an out-of-court settlement in 2000 with a separate group of plaintiffs. Both sides agreed to set up a fund to compensate the Chinese victims of the labor camp.